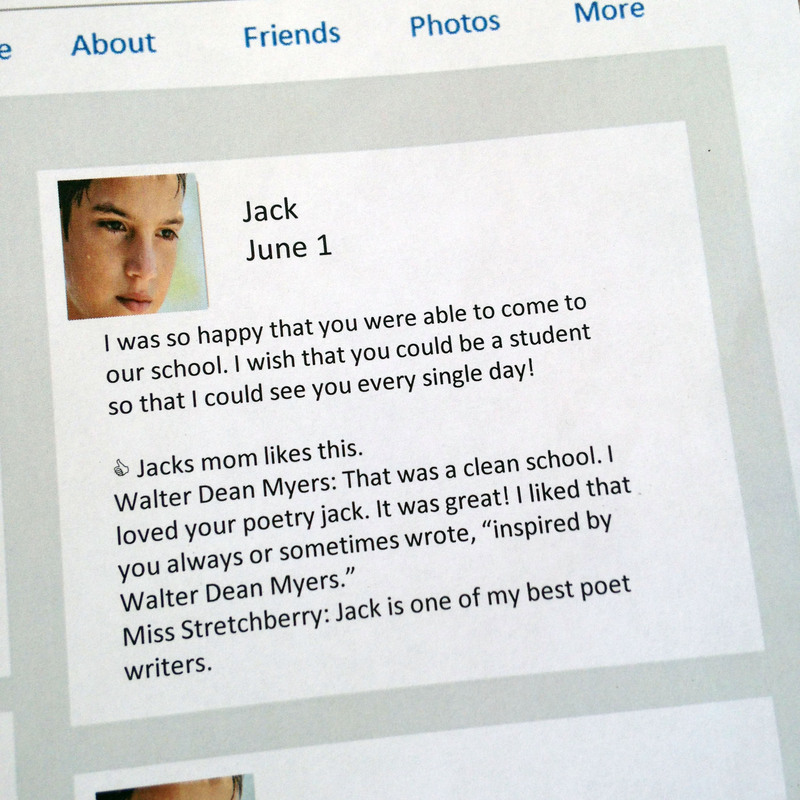 A few years ago, my students designed a Facebook page for a favorite character in the book, Dying to Meet You by Kate Klise. I was surprised how much critical thinking was involved. The students needed to pick a significant scene from the story, summarize it from the point of view of a character in the form of a Facebook post, and then respond to the post from the point of view of a different character. It was challenging for students to think about one story event from several angles. 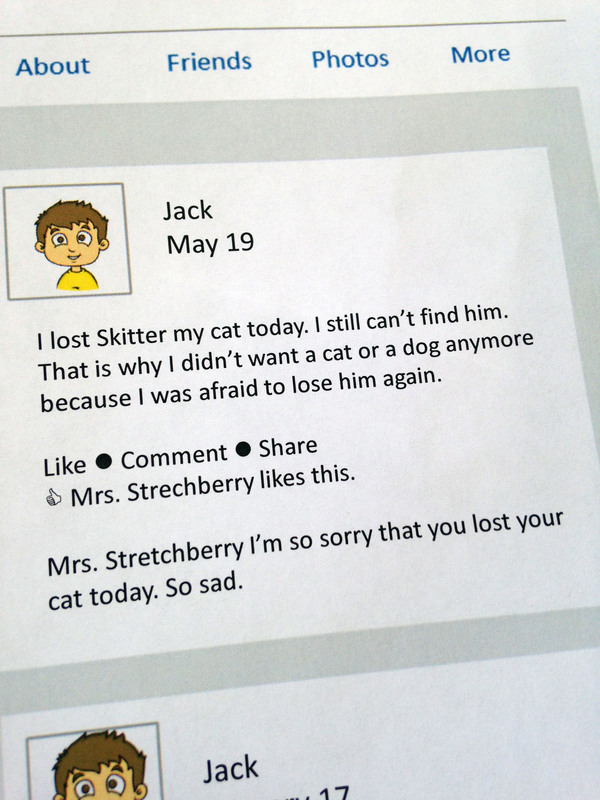 The finished writing activity reveals quite a bit about a student’s understanding of events in the story, character traits, and character interactions and motivations. It is a short activity but packed with reading skills, and the results are completely entertaining! 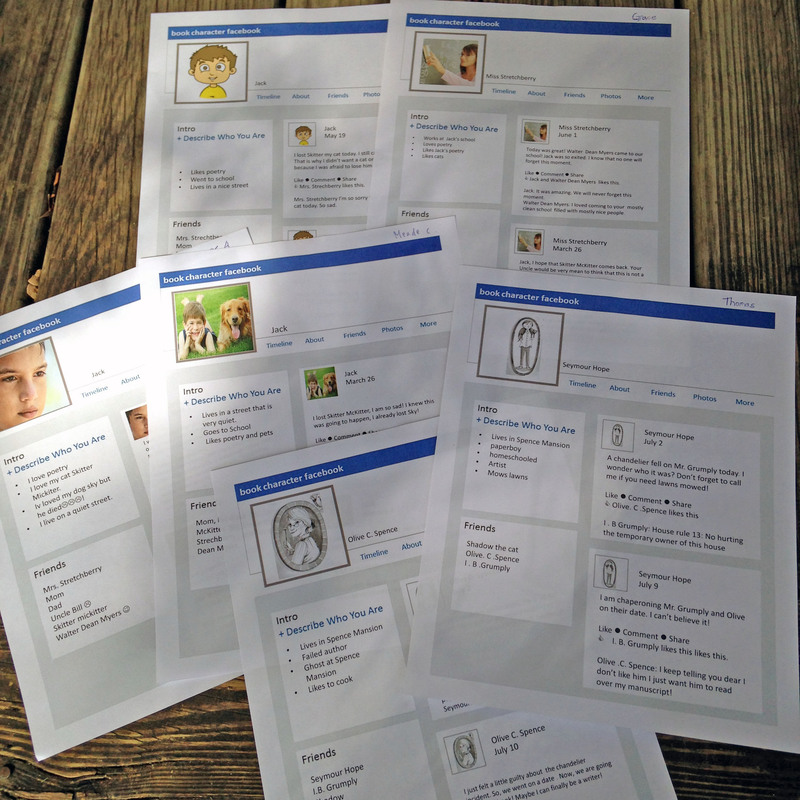 It also had the bonus of incorporating technology skills since my students completed the Facebook page digitally. I recently assigned the activity again, and it did not disappoint. My students were in three separate reading groups this time around, but all students completed the Facebook page based on a character from their assigned book. It is such an easy activity to adapt to any novel study. In my classroom, I inserted the blank FACEBOOK TEMPLATE that I designed as a background in a PowerPoint slide and then added text boxes as placeholders on top of the background. 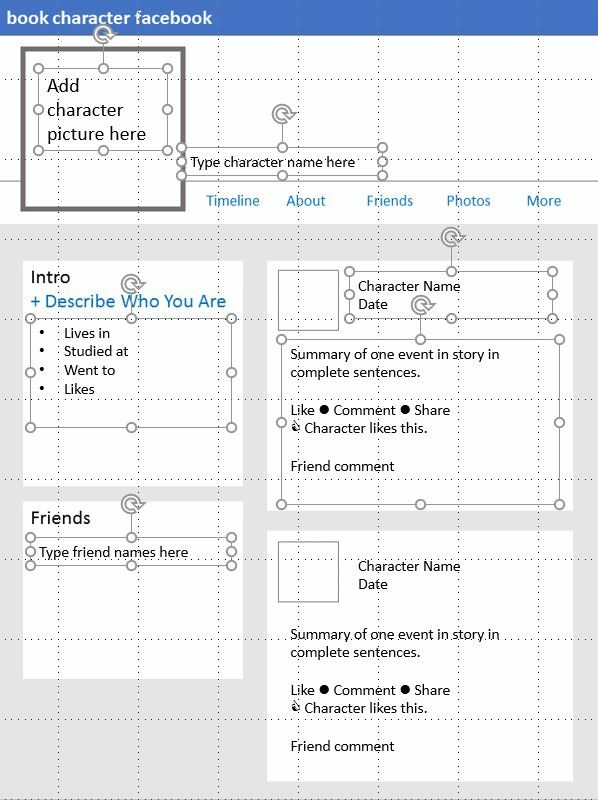 I shared the template with my students, and they clicked in the text boxes to add their writing. They also inserted pictures, used bullet points, and changed font sizes (potentially tricky technology skills for 4th graders). 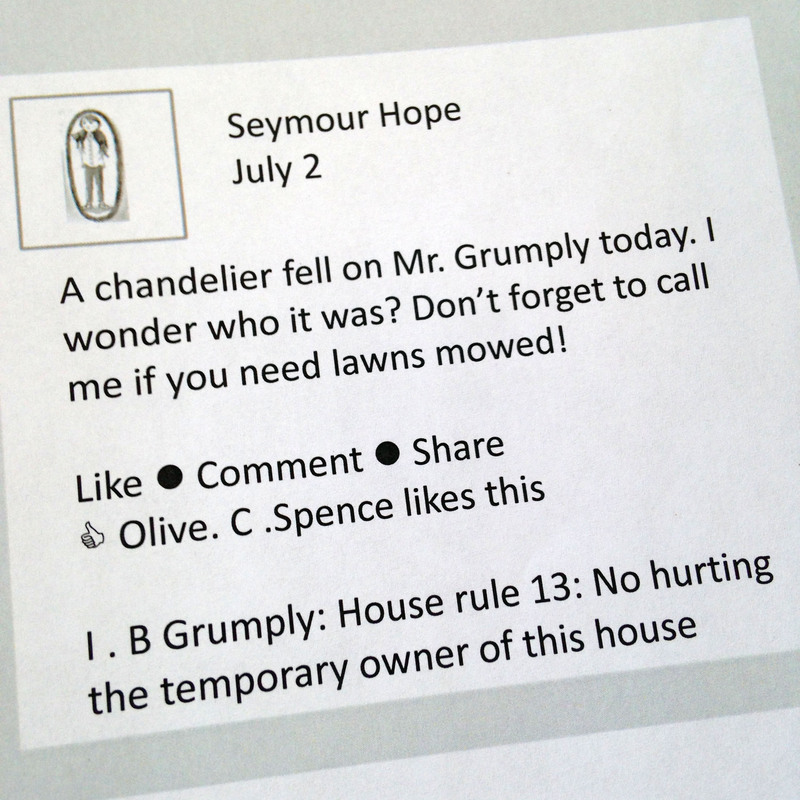 For younger students or classrooms/homes without computer or printer access, the activity could be handwritten using THE TEMPLATE. 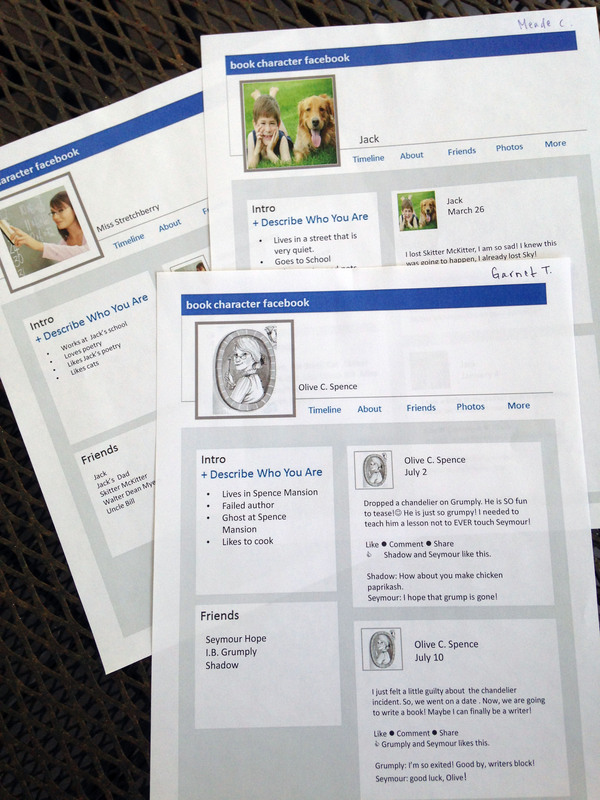 The basic Facebook page with the text box outlines can be printed, and students draw profile pictures and neatly write posts, likes, and replies. The samples above are related to the novels, Dying to Meet You, Love That Dog, and Hate That Cat. Complete novel units are available for purchase in my teacher store. Click the book names to see more details about the novel studies.